Pedal Style: Toe Caged. - Tension System: Felt Pad. - Pedal Q-Factor: 22.86 cm. You have our word that we will do everything we can for you. - Adjustable Seat: Up / Down & Forward / Back. - Model No. : SF-B1712. 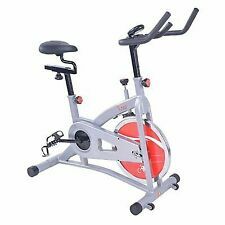 The seat and handlebars are adjustable for your comfort, along with the resistance settings, allowing you to increase or decrease the intensity of your workout. weight capacity. Easy portability. Easily move the indoor cycle from room to room with the front-mounted transport wheels. 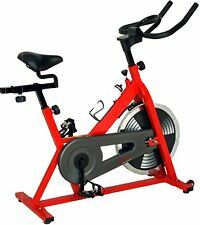 Publisher: Sunny Distributor Inc. Make your workout more intense and burn more calories by cycling at a high resistance level. 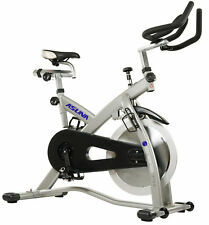 Enhance your daily workouts with this indoor exercise bike featuring a smooth belt for quiet operation. 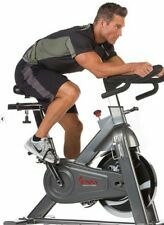 This electronic exercise bike boasts a padded, adjustable seat to keep you comfortable while working off those calories. Cycle Control Panel: Electronic Product Features: Water Bottle Holder Cycle Handle Bar: Ergonomic Console Display Type: LCD Portability: Portable Cycle Resistance: Adjustable Friction Assembly: Assembly Required Heart Rate Monitoring: None Cycle Pedal: Standard with Straps Cycle Seat Positioning: Adjustable Weight Capacity: 250 - 300 lbsColor: SilverDimensions: 46 inches long x 20.5 inches wide x 46 inches high Assembly RequiredAssembly Required. Sunny health exercise bike. Great condition. Only used a few times! 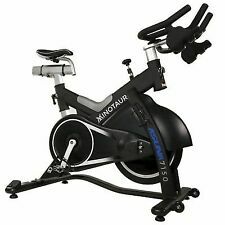 Sunny health Fitness Indoor Cycling Bike. Condition is Used. Local pickup only. 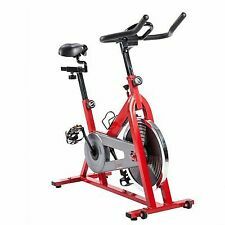 Take your indoor bike training and cardio workout to the next level as you increase stamina, strength and aerobic fitness. So what are you waiting for?. 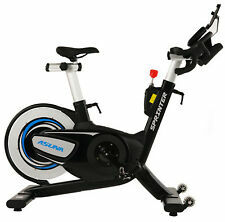 Get going and get cycling with Indoor bike trainer.